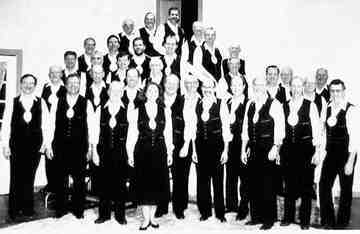 Since 1981, the Cold Spring Area Maennerchor (Maennerchor means "Men's Chorus" in German) has been a member of the Associated Male Choruses of America (AMCA) which is a national organization of male choruses. The Maennerchor is a part of the Upper Midwest District of the AMCA involving choirs from such places as Rochester, MN; Eau Claire, WI; Jamestown, ND; Grand Rapids, MN and many other cites. 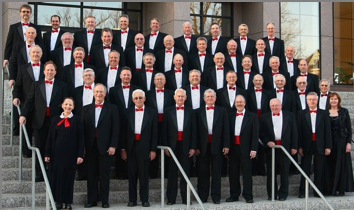 Each year a different choir plays host to this weekend long event including a variety of activities for the choirs, their members and their wives. The culmination of the weekend is the joint "BIG SING" concert held Saturday night open to the public. This will be the first time that the Cold Spring Area Maennerchor has sponsored this esteemed event and is honored to bring it to the people of central Minnesota. The BIG SING concert includes many numbers by the massed choruses singing together and several solo numbers by select choirs. 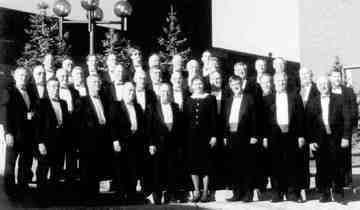 A special attraction this year will include a selection sung by a festival choir comprised of a few members from each representative choir. The grand finale of the evening will be the singing of the "Hallelujah Chorus" by F. Handel, accompanied by the magnificent St. John's Abbey pipe organ. We look forward to seeing you at the BIG SING concert!